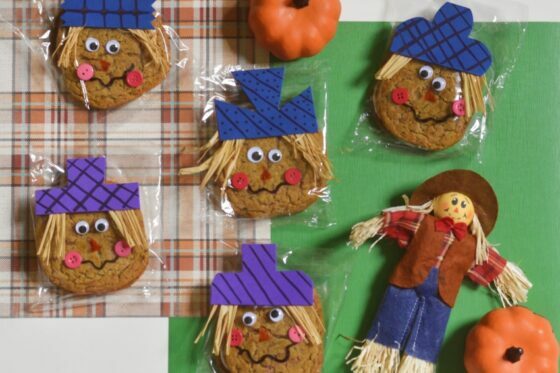 Signs of fall: cool weather, sweaters, leggings, leaves falling, pumpkins, and slow cookers. Yeap, you read that right. It’s slow cooker season! I love using my slow cooker all year round, but there’s something that just feels right about using it during the fall. If you haven’t pulled yours out yet, I’d say your behind. 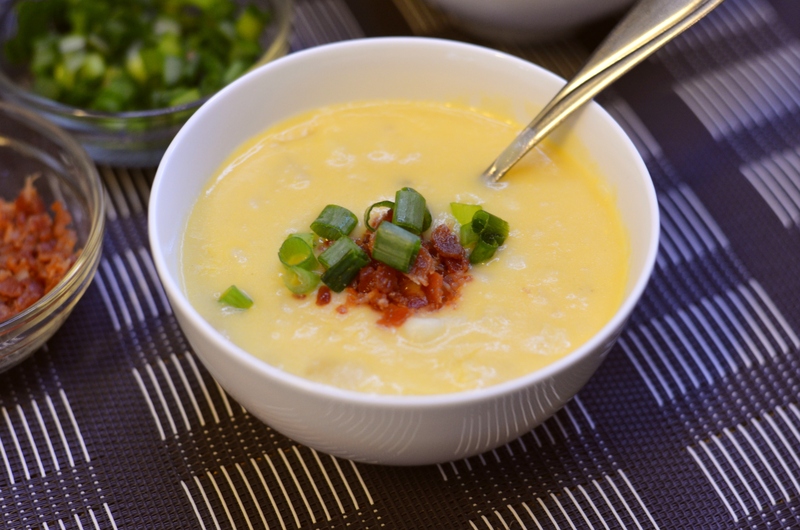 So let me give you a reason to pull it out tonight – Slow Cooker Cheesy Potato Soup. I made this for my family last week and it was an instant hit. 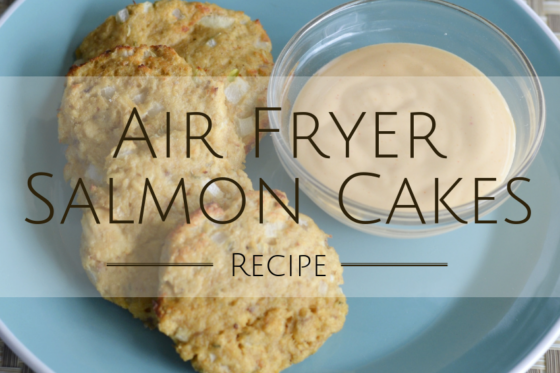 The best part is that the ingredients are pretty basic and it doesn’t take much effort at all. And since it’s all done in the slow cooker, I didn’t have to slave for an hour over a hot stove. It’s easy, it’s cheesy, and it’s a perfect fall recipe. In the slow cooker, toss in the frozen potatoes, onion, chicken broth, and water. If using the optional celery, you’ll want to include that here also. Gently stir. Then cover and cook on high for 3 hours (or on low for 6 hours). In a medium bowl, whisk together the milk and flour. Pour this into the slow cooker and gently stir. Cover and cook on high for another 30 minutes. This will help thicken the soup a little. Gently stir in the cheese until it has all melted. Don’t stir too hard or you’ll risk mashing up a lot of the potatoes. Scoop into a bowl, and garnish with bacon pieces and green onions. Tip: To make cleanup easy, use a slow cooker liner. It's Fall ya'll! Have you pulled out your slow cooker yet? 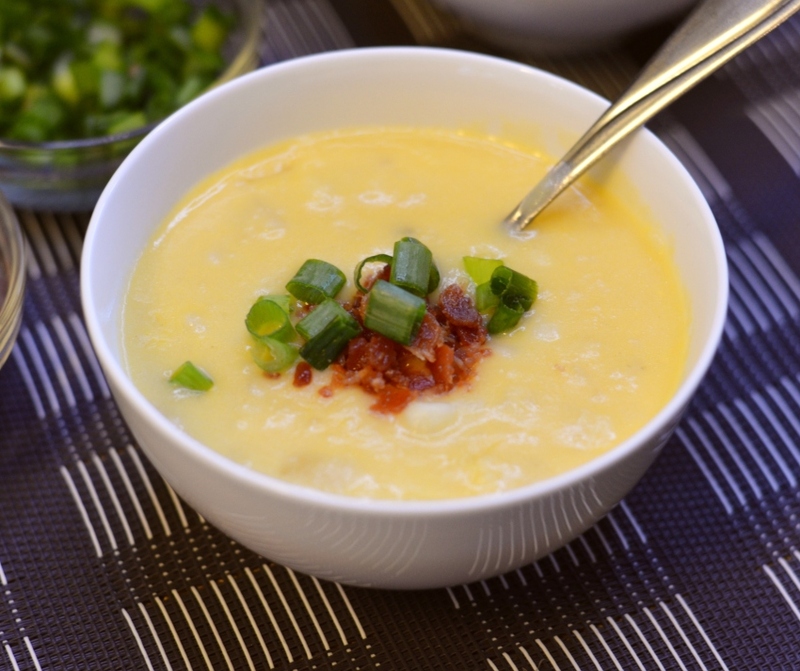 Here's a reason to pull it out tonight - this Slow Cooker Cheesy Potato Soup. It's easy, it's cheesy, and it's a great fall recipe that'll warm you right up! 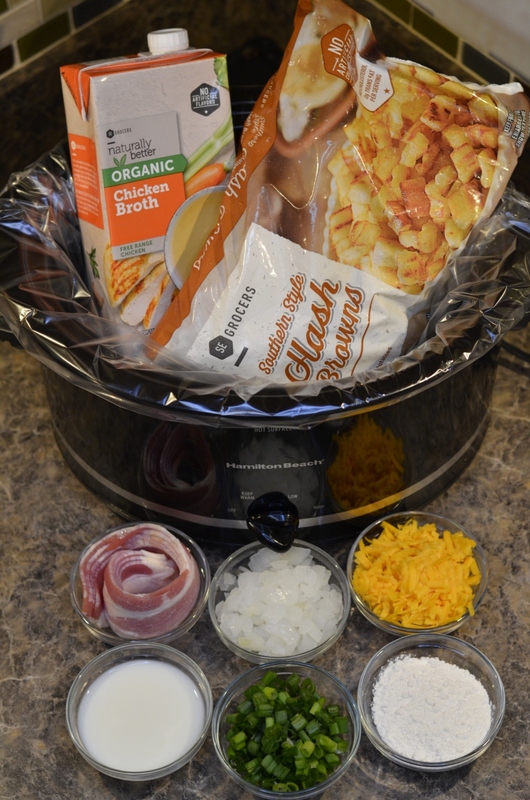 In the slow cooker, toss in the frozen potatoes, onion, chicken broth, and water. If using the optional celery, you'll want to include that here also. Gently stir. Then cover and cook on high for 3 hours (or on low for 6 hours). Gently stir in the cheese until it has all melted. Don't stir too hard or you'll risk mashing up a lot of the potatoes. What kind of soups do you like to make in your slow cooker? This looks like it would be really good and easy to make.